On September 1st, Google quietly made another update to the Internet giant’s secretive search algorithm. Unlike previous “Panda”, “Pigeon” and “Pirate” updates that have been accompanied by press releases and statements touting improved functionality and user friendliness, the early September update happened with no announcement, fanfare or even being given a name. However, the local SEO community quickly decided upon “Possum” as a fitting name considering the update’s impact on Google My Business listings. While many small business owners may have suddenly thought their listing stripped from Google’s local search results, they were in fact still there, just heavily filtered. Playing possum, if you will. So what does Possum mean for small businesses, and dental practice owners specifically? Let’s take a look at some of the good and bad. What was the Possum update? Without a press release, local SEO firms like Local Fresh need to play detective to determine what changes Google has made to its search algorithm after every update. After months of review, it seems that Possum directly impacted the Google Maps results (AKA the Local Finder) and the 3-pack (the group of three businesses that appear directly below the Google map in any local search result, as seen below). The thought within the SEO community is that Possum was designed with the intent of diversifying local search results while simultaneously eliminating the effectiveness of spamming local search results. Overall, Possum offers several local SEO benefits for businesses, but only if a business has well optimized its Google My Business listing with SERPs (search engine results page) in mind. The Good: Expanded Geo-targeting for nearby businesses. Before Possum, it was nearly impossible for a business with an address outside of the physical city limits to rank for keywords that included that city’s name. 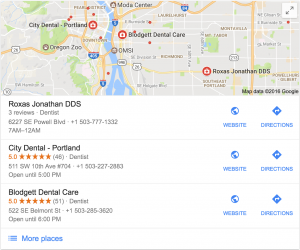 For example, a dental office in the nearby suburb of Milwaukie, OR that wanted to rank for the keyword term “dentist in Portland” would find very little traction appearing in organic search results for any keyword term that included the city name of Portland. In the eyes of Google Maps, an office location in Milwaukie using keywords terms including Portland would be considered almost misleading and therefore invalidate that keyword from changing the business’ ranking in search results. This hurdle was a major headache for businesses that drew a significant portion of their business from people that lived only a mile or two away, but who were located within the city limits. A patient searching for a “Portland dentist near me” may not have seen the local listing for the Milwaukie practice that was just a few blocks away because – unlike the prospective patient – they were not located in Portland proper. With Possum, however, Google Maps is now taking a big picture view of nearby communities that boarder larger cities. Since the update’s release, many local businesses have seen significant increases in local rankings. This now opens a massive door that allows businesses located in neighboring communities or suburbs to effectively market to a far larger population base. If you operate a dental practice just outside the city limits of a larger metropolis, your practice now has a better chance of appearing in local listings even if your physical address is in a neighboring suburb. 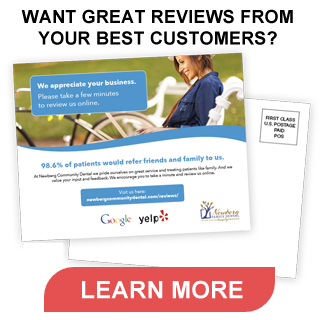 This kind of increased exposure should hopefully lead to more patients or customers. The Bad: Increased unpredictability in SERPs. While each Google algorithm update generally creates a little havoc with established search marketing practices, Possum seems to have had a significant impact on many keyword terms that affect local search rankings. A detailed analysis of over 1,300 business conducted by the SEO research firm Bright Local tracked more than 14,000 keyword terms to determine what impact Possum may have had on local search results. 9 percent of the keywords triggered businesses to appear in the Local Finder when they previously did not appear. 11 percent of the keywords triggered a business to appear higher up in search rankings by at least three positions. 15 percent of the keywords increased a business’ position in search rankings by one or two positions. 35 percent of the keywords triggered no change in a business’ position in organic search rankings. 15 percent of the keywords caused a business to drop in search rankings by one or two positions. 14 percent of the keywords caused a business to drop in search rankings by more than three positions. Overall, 64 percent of the total keywords examined by Bright Local caused some kind of change in organic local search rankings, and 34 percent of the keywords caused some kind of significant change of at least three or more positions (either up or down) in search rankings. Keywords serve as one of the foundations of any successful SEO strategy. When a website is optimized to score highly for certain keywords, much of its success depends on Google’s perceived value for those terms. If Google’s algorithm no longer gives certain keywords terms the same amount of weight it did before, a significant drop in overall rankings can occur unexpectedly. The Good: A crackdown on spam. In general, Google takes a very negative view towards spamming of any kind. However, a certain type of spam previously flew under Google’s radar when it came to local listings. For example, if your dental practice features three dentists, you could create three separate Google My Business profiles for each dentist and one listing for the practice itself. These separate profiles would all link to the same website and phone number. Usually, only one or two of those profiles would show up in a local search result, and the others would be filtered away. However, by having multiple active profiles you increased the likelihood that your practice would appear higher in search rankings, if not command more than one spot. Since Possum, a lot of business are seeing their extra listing filtered out due to sharing the same information, whether a physical address, phone number or email address. This is actually great news for many small independent dental practices that have neither the manpower or diversity of dentists required to create multiple local listings. Now, instead of creating multiple listings, a practice just needs to create one well-crafted local listing to improve its search ranking results. Bad: Search results vary more based on slight variations of keyword terms. 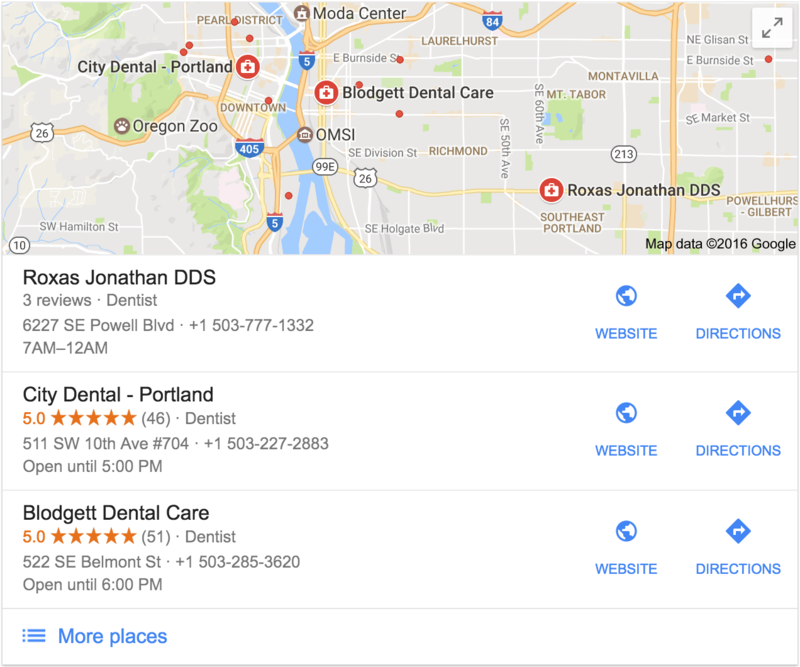 Prior to Possum, the majority of the Local Finder listings you’d receive would be fairly similar if you searched for relative keyword phrases such as “Portland dentist”, “dentist Portland”, “dentist Portland, OR”, etc. This type of discrepancy makes it vitally important that a business understand its most valuable and important keywords terms, and to make sure that its SERPs accurately reflect the keywords its target audience most often uses when conducting a search online. Good: Local Fresh can help. Regardless of whether your dental practice or small business has been impacted by Possum yet, you can no longer wait to become more diligent in how you manage your online content, data and marketing presence. Even if Possum isn’t the algorithm update that sends your business spiraling down the search rankings results, Porcupine, Platypus, Popcorn or any other cute sounding p-word named Google update that could come along might just result in significant damage to your online brand if you don’t have someone who understands the intricacies of online marketing working on your side. At Local Fresh, we possess the experience, knowledge and tools needed to keep your practice at or near the top of the local listings update after update. From embedding keyword terms into the core content of your website to optimizing Google My Business listings, our local SEO experts stay up-to-date on Google’s constantly evolving practices so you can stay focused on patient satisfaction and results. To find out more about what Local Fresh can do for your small business or dental practice, click here.